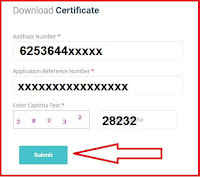 Vle's who already applied for CSC id, those candidates can waiting for CSC certificate, in this article we showing How to download CSC certificate online, Vle's can download their CSC certificate from Digital seva portal - http://register.csc.gov.in/ , This facility available for Re-registration Candidates only. 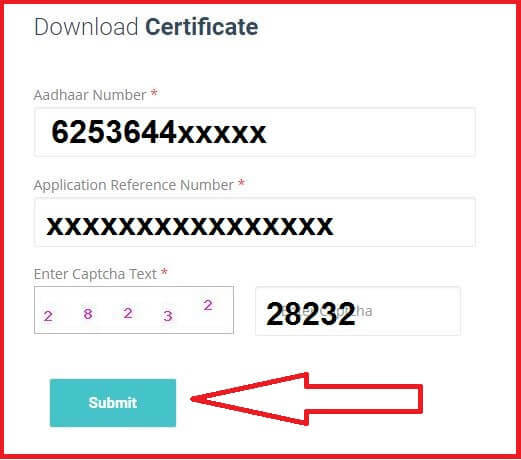 currently this facility not available for New Vle's, You can generate the certificate by simply entering your Aadhaar Number and the Application Reference Number that was sent on your email after successful Re-Registration.Certificate will only be generated for successful Re-Registrations. go to firefox browser -> type ->https://www.csc.gov.in/-> click on registration n follow the same step as u had done before to get csc application no. u ll able to see a new application no. that is a re-registration application no. u ll receive VLE Re-Registration Acknowledgement in ur email,with a new Application Reference No. in ur mail. keep ur laptop/desktop notification alert in setting. (left side below email ).u ll receive digimail id n pw in betwen 1 to 3 month in ur email id. later in digimail u ll receive ur csc id n pw. thanks.for more info u can go to youtube csc re-registration.